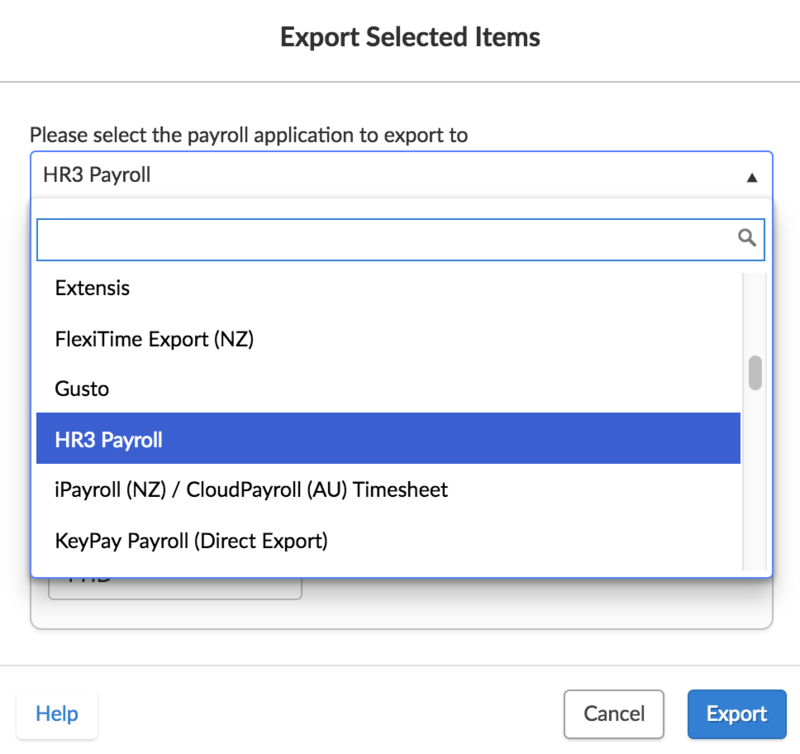 This guide walks you through the process of exporting your timesheets to HR3 Payroll. 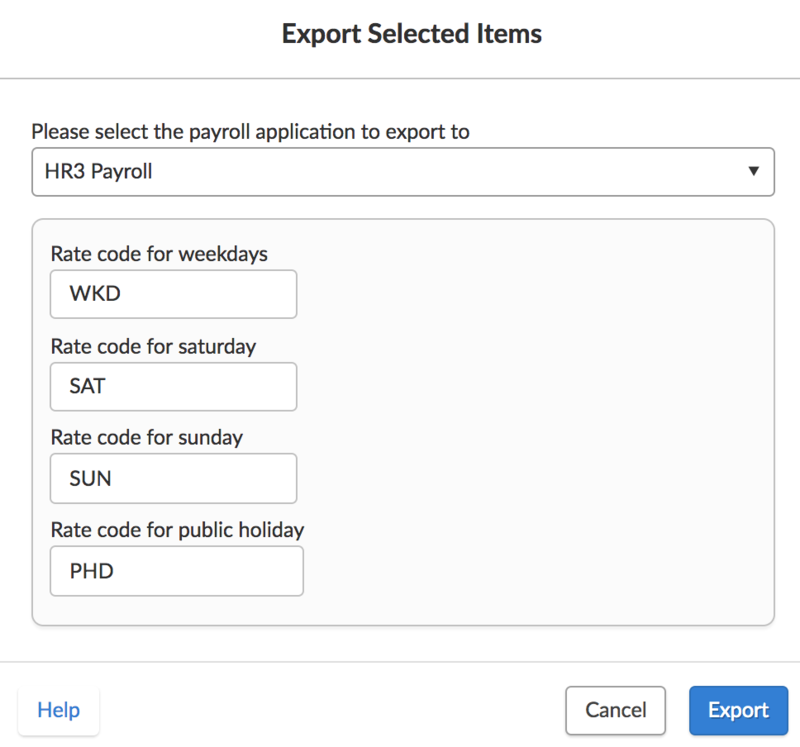 HR3 Payroll uses a file import system, created by Deputy during the timesheet export process. Please ensure that you have timesheets ready to be exported, and that your employees have a timesheet export code that contains exactly six (6) alphanumeric characters. Navigate to the timesheet export page, select the employees you would like to export, then click 'Export Selected Items'. Now select 'HR3 Payroll' from the payroll application drop-down list. When you're done, click 'Export'. A prompt will appear if the export is completed. Click 'Download File'. 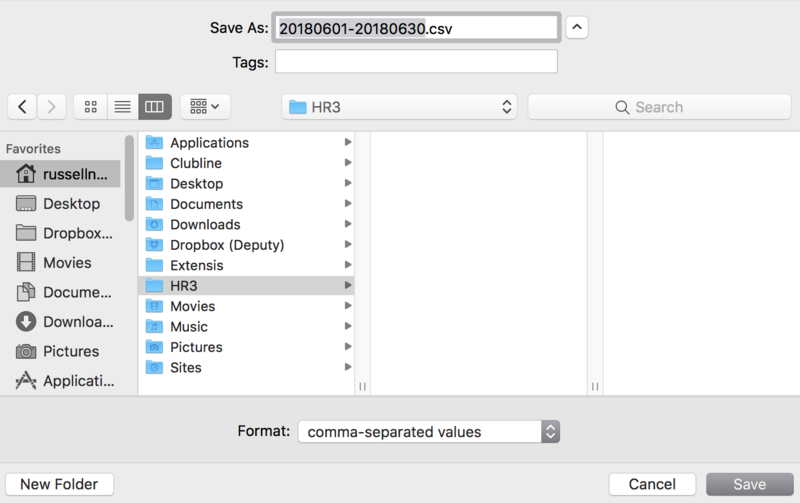 You can now import this file into HR3 Payroll.